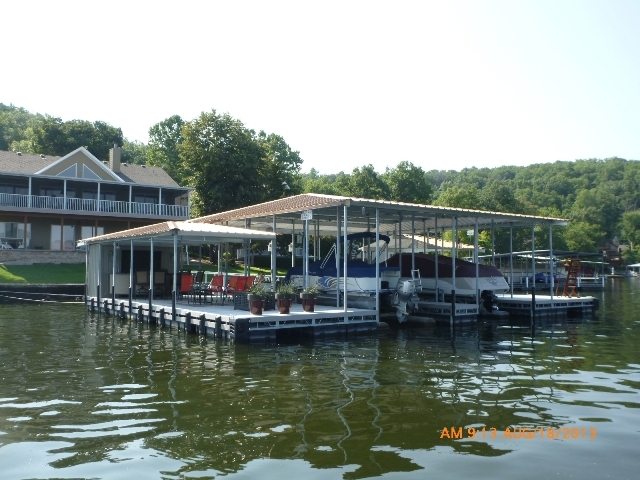 Constructed with our Series-4SHD (Super Heavy-Duty) System Design, Osage Precast Concrete Decking, Extra Dock Cushions & Corner Cushions, Polylift Boatlifts, 6-step Candy Copper WetSteps Swim Ladder, Eagle Float Encapsulated Floatation, Central States Copper-Colored Roof Metal & more. 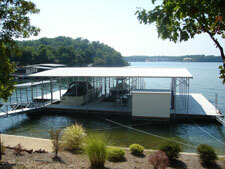 8′ x 10′ Tiki-Bar & Closet, 4′ x 72′ Ramp & 62′ Super Heavy-Duty Stiffarm. 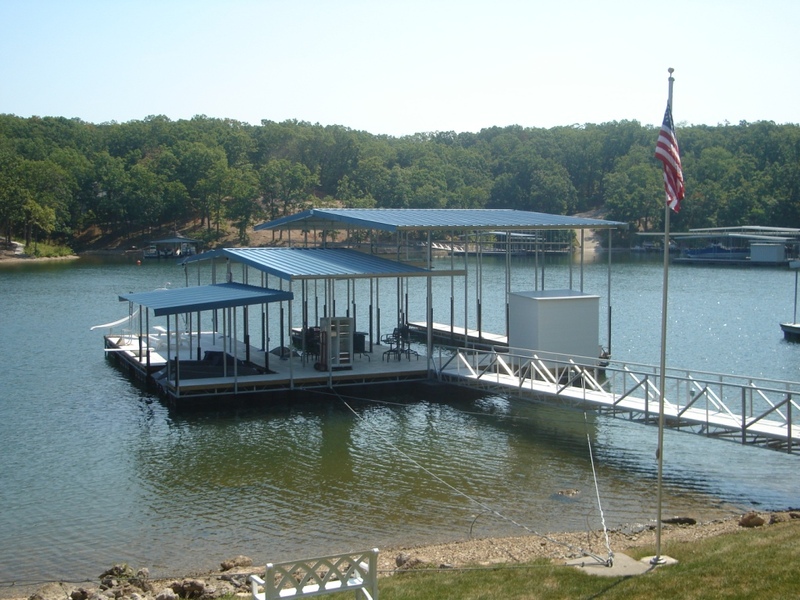 Constructed with our Series-3HD System Design, Concrete Decking, 6-Step WetSteps Swim Ladder, Swim-Slide, Dual HP2 Drive-On Lifts, Central States Hawaiian Blue Roof Metal, 14ga x 10″ x 2.5″ Galv. 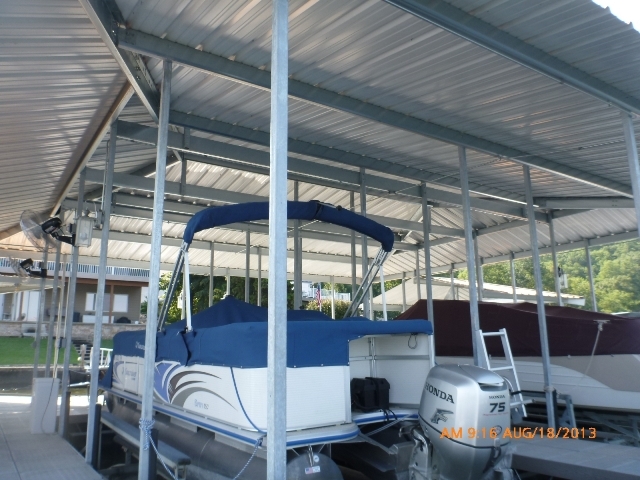 Purlins, Heavy-Duty Wind-Brace & more. 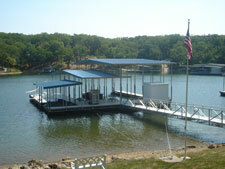 Double Well w/ an 8′ x 40′ swim dock. This is a side entry system that we built for main channel. Also included were a 4′ x 12′ closet & Double-barrel anchor drops for stability. 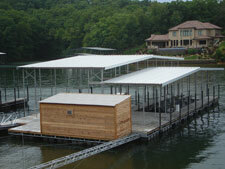 18′ x 56 / 12′ x 40′ Double-Well w/ a 12′ x 12′ Double PWC covered slip and a 12′ x 64′ swim dock. 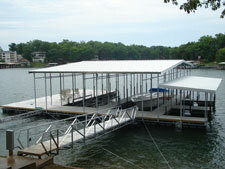 The 12′ x 40′ slip allowed us to implement a patio area in front of the slip for entertainment needs. 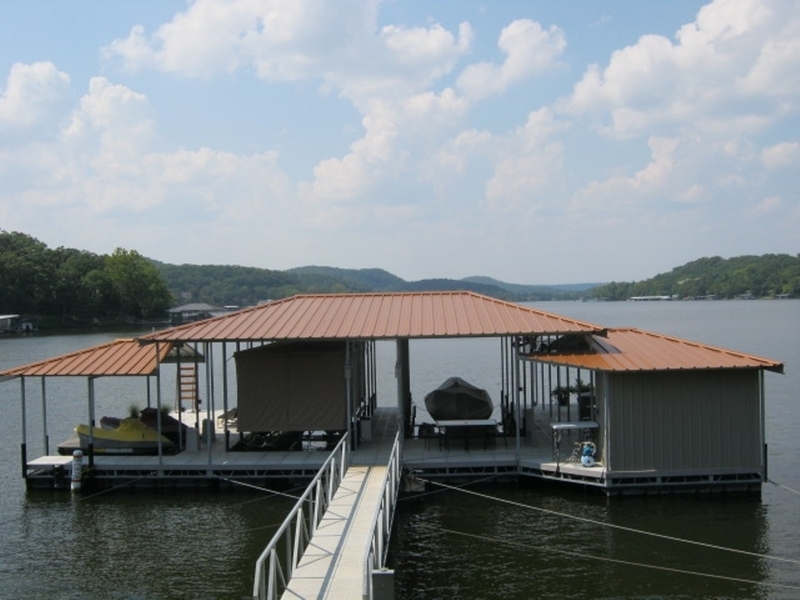 This particular dock had a 60′ ramp & 60′ stiff-arm on a slide-tray system so that we can slide dock in and out for water fluctuation. 18′ x 56′ / 12′ x 40′ Double-Well. 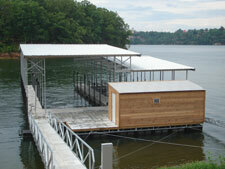 We had to install an 8′ x 42′ swim dock on the front side because of property line issues. We were also able to install an 8′ x 20′ tiki-bar system w/ a 4′ x 8′ closet on the side. We custom built the tiki-bar out of lap-and-gap cedar, weather-proof door and weather-proof roll-up window w/ serving tray. 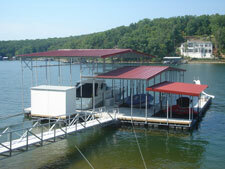 Double-Well w/ a 12′ x 12′ Double PWC covered slip and a 12′ x 32′ swim dock. We installed a 6′ x 8′ closet for storage. 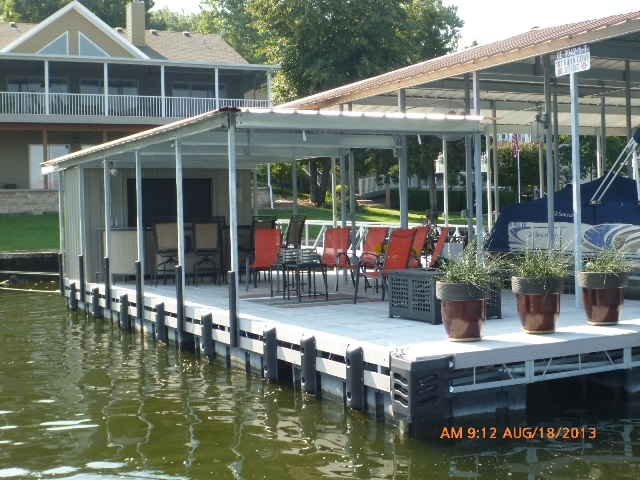 The 12′ x 28′ slip allowed us to implement a patio area in front of the slip which now the customer is going to have us install a new 8′ x 10′ tiki-bar system for his entertainment area. 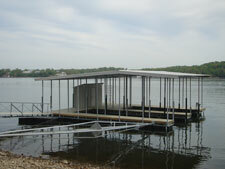 We also installed a swim slide and diving board on the swim dock area.